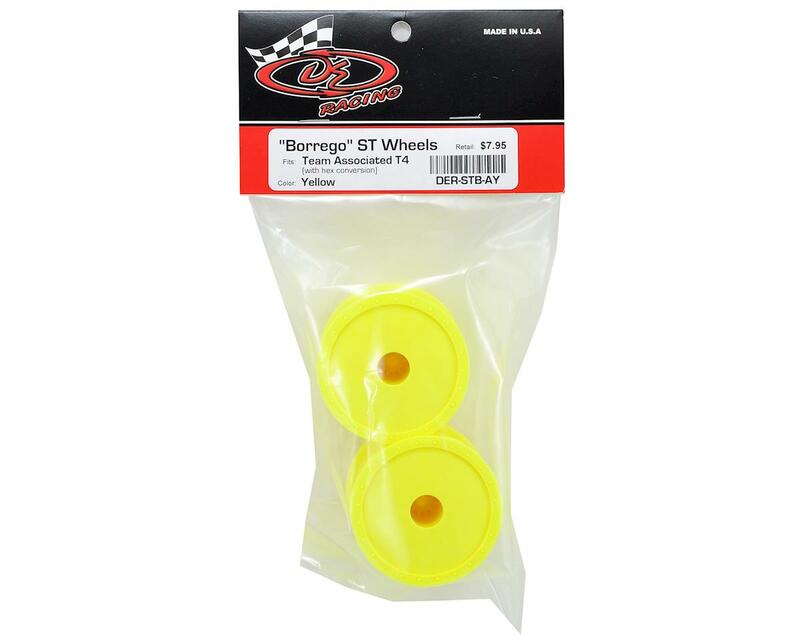 This is a pack of two Yellow DE Racing "Borrego" Wheels, and are intended for use with the Team Associated T4 and T4.1 1/10 scale stadium trucks equipped with the optional hex conversion. DE Racing has developed the first true dish wheel for the Stadium Truck market. Modeled after the 1/10 buggy line, DE's "Borrego" wheels feature the realistic scale appearance of a beadlock wheel with mud cover. They were also designed for use with DE's optional sticker disks to provide a greater level of color customizing options. 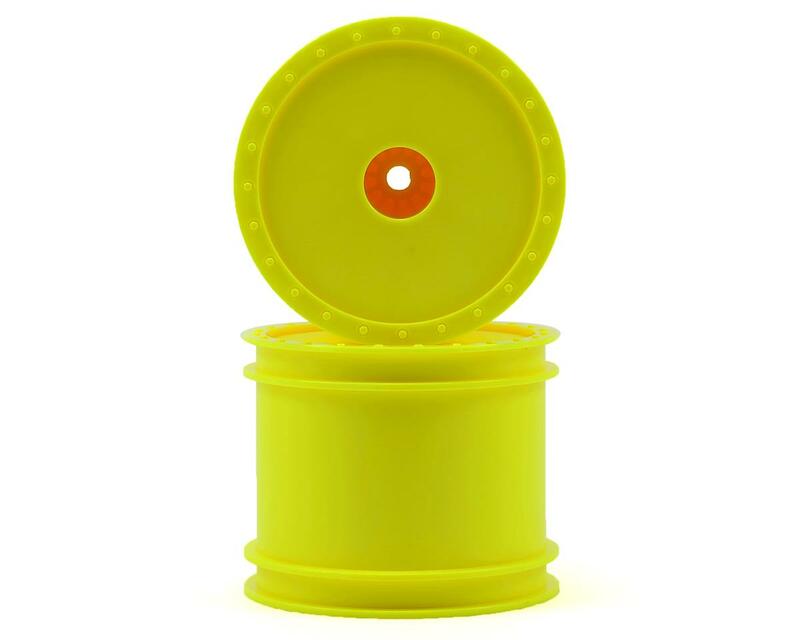 One feature that stands out on this wheel is the use of a 12mm hex drive system that uses inexpensive and easy to find conversion parts from Team Associated. This design not only makes for a more reliable drive system, but the trucks wheels and tires can now be easily rotated from the front to rear giving more tuning options and longer tire life. Note: To use the Borrego hex wheel on the T4.1 it requires JConcepts Front Axles (JCI2170), 12mm Clamping Hexes (JCI2081) on the front and rear of the vehicle, and also the Team Associated Front Steering Blocks (ASC9880).